An indigenous education advocate in Winnipeg says the federal government's 2015 budget is not providing enough funding to help aboriginal students. 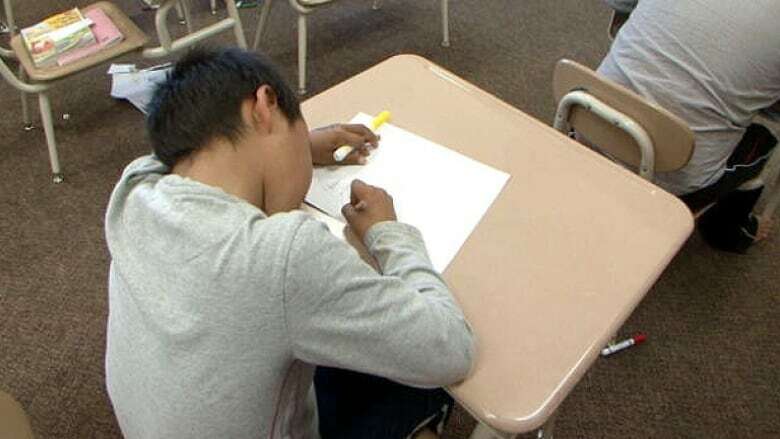 The Conservative government's budget, which was tabled on Tuesday, earmarks $200 million over five years starting in 2015-16 "to help support First Nations to achieve better education outcomes, including building partnerships with provincial school systems." But that amount falls short of the $1.9 billion that Prime Minister Stephen Harper announced in February 2014, says Rebecca Chartrand, an aboriginal education consultant with the Seven Oaks School Division. The federal government is not providing enough money to help aboriginal students succeed, said Chartrand, who is seeking the Liberal nomination for the Churchill-Keewatinook Aski riding in the upcoming federal election. "There's a need for infrastructure to build more schools, to bring more resources and support to students in schools," she told CBC News late Tuesday. "There's a need right across the board to support learning for First Nations children." She added that aboriginal schools pay the same amount as public schools for resources, staff and materials, so aboriginal education deserves the same level of funding. "Where's the money going to come from?" Chartrand said. "It's going to lead to more crisis situations in First Nations communities." Harper had pledged the $1.9 billion to support his government's First Nations control of the First Nations education act. A number of aboriginal leaders do not support the proposed legislation, which will not proceed. The funding proposed in this year's budget will "support the First Nation Student Success Program and the Education Partnerships Program," according to budget documents. The budget also proposes investing $12 million over three years in the Indspire program, which provides post-secondary scholarships and bursaries for First Nations and Inuit students. The government announced in November that it will spend $500 million on building and renovating schools on reserves. National Chief Perry Bellegarde of the Assembly of First Nations described the budget as "a status-quo budget, and the status quo is not acceptable. "We don't see any investments in housing to deal with the 130,000 units we need. We don't see investments in education on reserves. There's still a huge fiscal imbalance there," be said. "We don't see any investments even in access to potable water. There are still 93 communities with boil-water advisories."